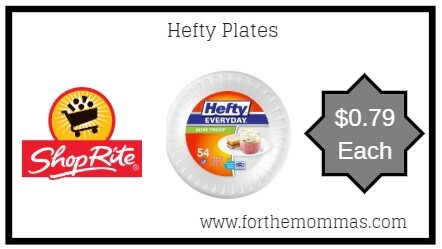 ShopRite: Hefty Plates ONLY $0.79 Each Starting 4/14! 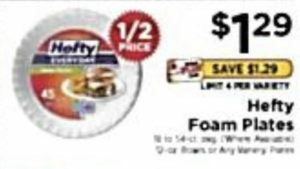 Starting from 4/14, ShopRite will have Hefty Foam Plates priced at $1.29 each. In addition to this, we have a $1/2 Hefty Foam Products printable coupon available to stack to make your final price $0.79 each.